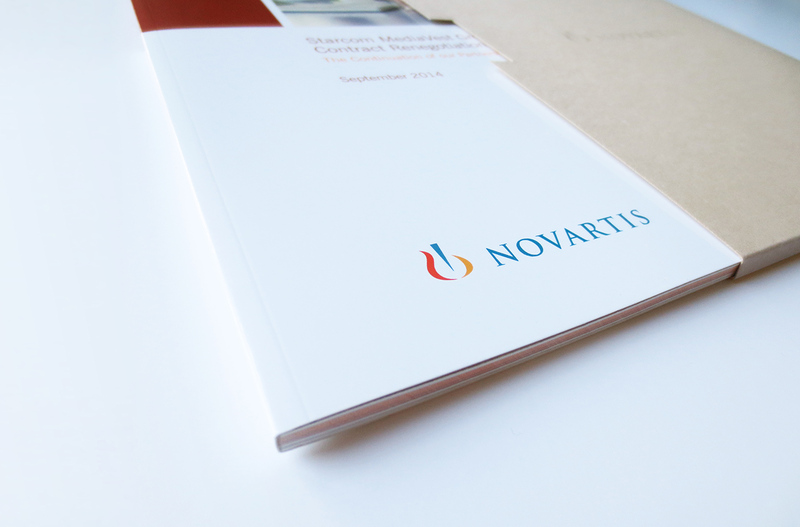 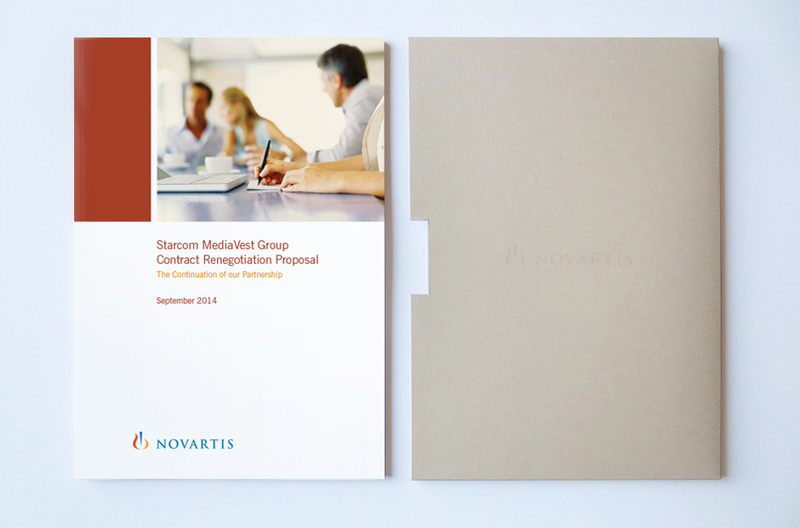 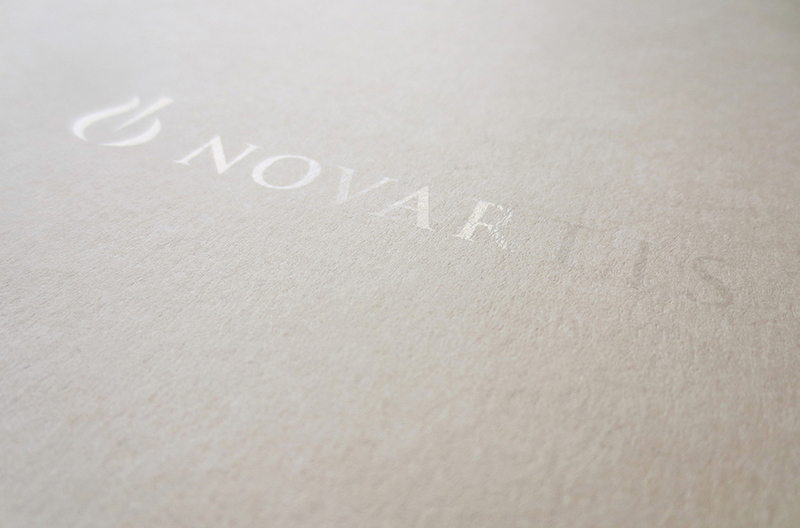 Novartis International AG is a multinational pharmaceutical company based in Basel, Switzerland, ranking number one among the world-wide industry sector in 2013 with sales of $57.9 million. 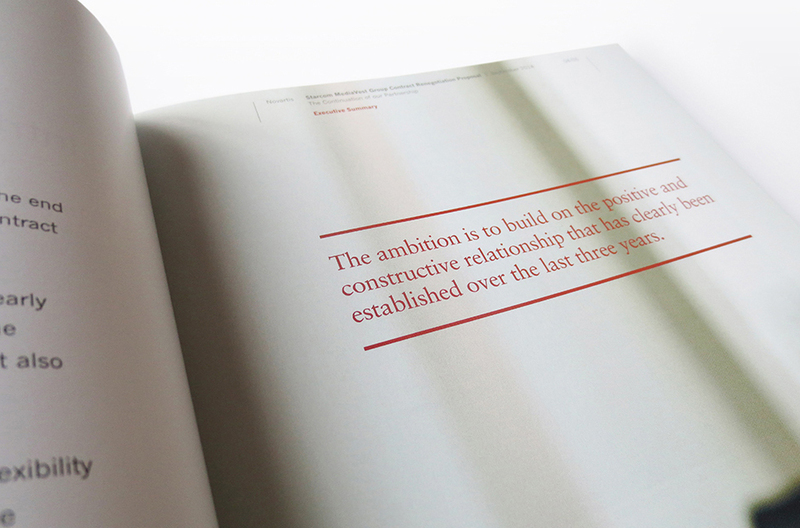 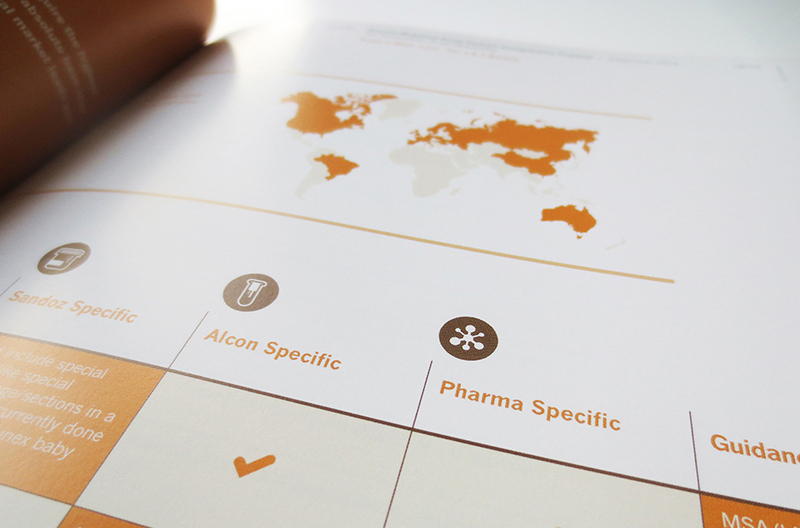 We were tasked with designing their 2014 marketing review document in preparation for tendering the account to three international marketing agencies. 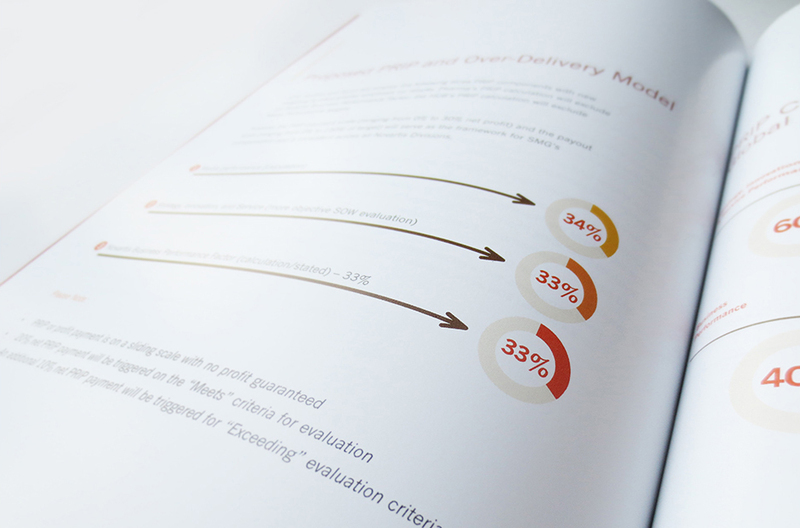 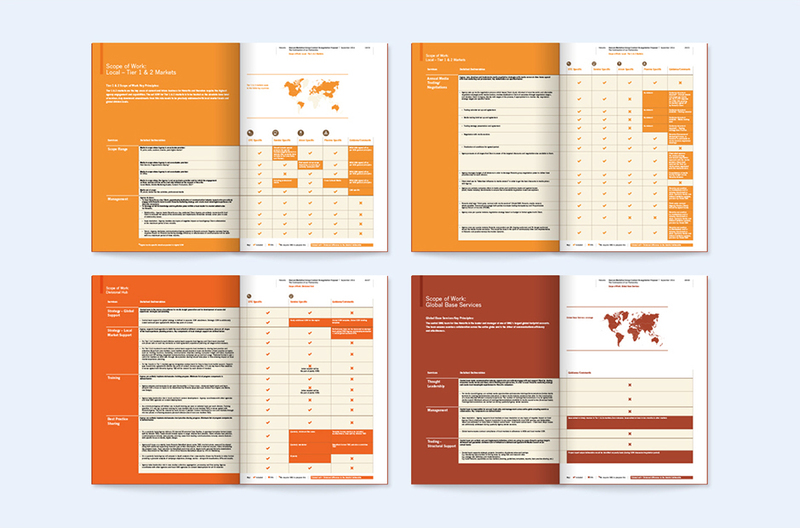 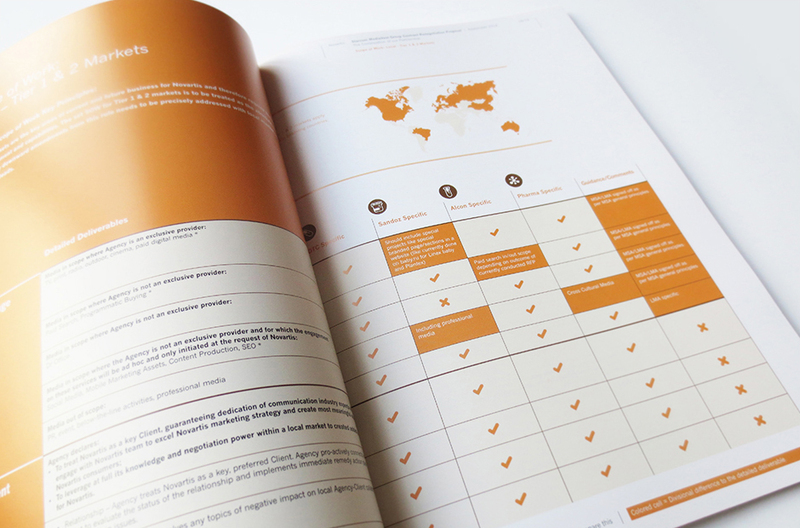 The 96-page document featured an in-depth scope-of-work matrix chapter detailing marketing requirements and budgets across five global regions. 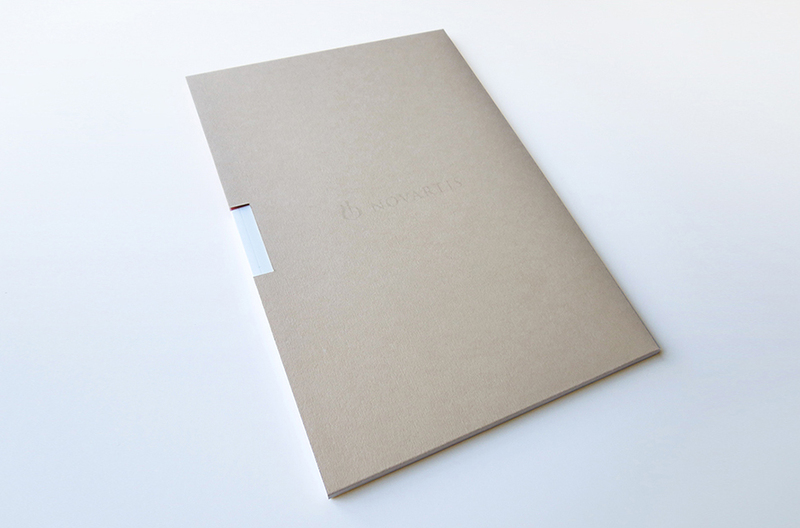 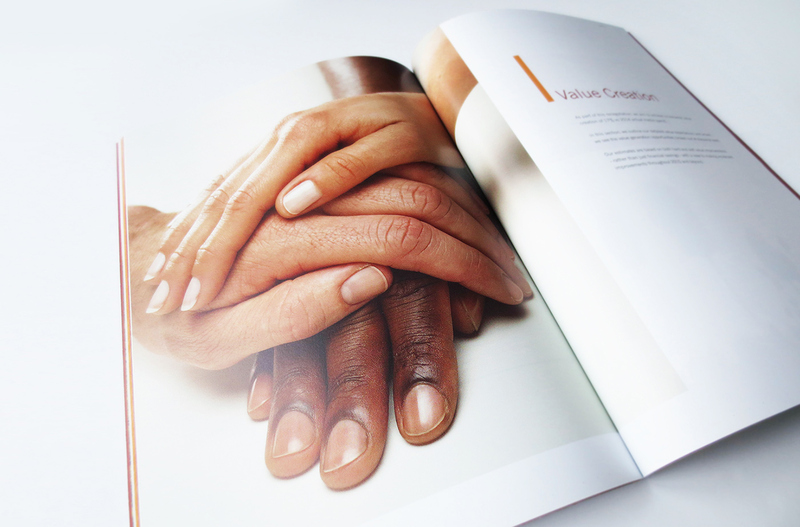 The finished printed document was presented in an elegant slip case and was well received when distributed to the participating marketing agencies.